Setúbal is located just 25 minutes southeast of Lisbon. It is the third largest port in Portugal, and is well known for being the center of the country’s sardine industry. Visitors are drawn to the area to visit the Sado Estuary Nature Reserve and watch bottle-nosed dolphins in the wild. Beach lovers come to enjoy the sandy white beaches on the Tróia Peninsula, which can be reached by ferry. Perched on a hilltop overlooking the River Sado and the Tróia Peninsula is the 17th C. fortress-castle that today operates as the Pousada de São Filipe. The fort was built by King Philip II of Spain (Philip I of Portugal), and includes a beautiful Baroque Chapel lined with azulejos (tiles) relating to the life of St. Filipe. The fort’s 16 guest rooms include Standard rooms (without a view), some of which are duplexes, and Superior rooms with city views. The spacious Don Filipe Suite has a living room, separate bedroom with twin beds, and a terrace with city views. 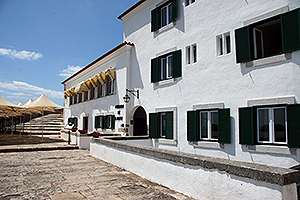 NOTE – Since January 2015 the Pousada de Setúbal has been closed and will remain so until further notice. For alternative hotel options in Lisbon and its surrounding area, click here. Located about 25 minutes southeast of Lisbon is the city of Setúbal, one of Portugal’s oldest cities. 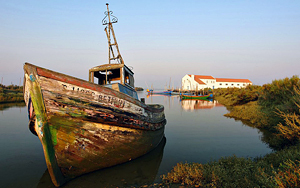 It lies on the bank of the Sado River, and is perhaps best known for being the center of Portugal’s sardine industry, and for the fine muscatel wine that bears its name. Day trippers visit Setúbal to enjoy the long expanses of white sandy beaches found on the Peninsula of Tróia, which can be reached by ferry. Nature lovers enjoy the wide variety of indigenous vegetation that can be found in the Arrábida Natural Park, and can also watch dolphins in the wild at the Sado Estuary Nature Reserve. For more information from the Câmara Municipal de Setúbal, click here. Also located in Setúbal is the 17th C. fortress-castle that is located high on a hilltop and overlooks the Sado River and the Tróia Peninsula. Today the fortress operates as a hotel – the Pousada de São Felipe. For more information and reservations, click here.